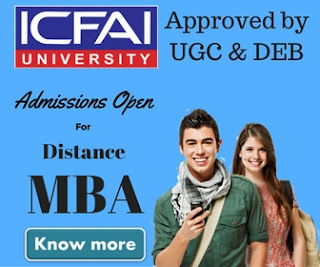 Calicut University Distance Education 2019: In our today's post we'll be taking about Calicut University Distance Education & various distance education courses offered by Calicut University Distance Education & It study centers. The term Distance Education is not new now. This has been a trend since a lot of time. Students from all over the world are now adopting for Distance Education because it gives them the flexibility to continue with their jobs, as well as gain important academic degrees. 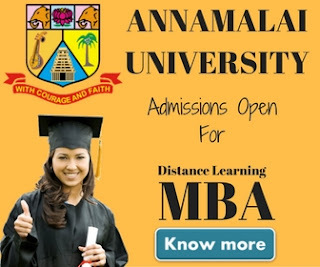 If you are one of those who is employed in a reputed company, and want to pursue higher education without leaving your company, the only option left is to opt for Distance Education. This will help you get an academic edge over your co-mates, without resulting in a lack of experience. This simply means a higher rank in the existing company without much of the effort, or financial crisis. Calicut University has been a renowned name in the field of Distance Education since about 30 years now. The university has its roots not only in India, but even abroad. 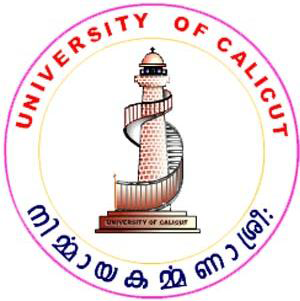 The University of Calicut was set up back in 1968, and is the largest university in Kerala. The motto of University is to foster quality human resource and promote productive research that benefits both the local community, as well as wider humanity. The University has 30 post graduate departments and 373 affiliated colleges in North Kerala. The distance education school was set up in 1981, and enrolls about 30 thousand students annually. The school as of today has students enrolled from six overseas approved centres including Sharjah, Abu Dhabi, Doha, Kuwait, and Bahrain. The school currently offers 16 graduate level courses, 13 postgraduate courses, and two diploma level courses. There are over 18 educational institutions affiliated under the school, located in different states of India. Courses: BA, B.SC., B.COM, M.A., M.SC, M.Com. Address: 28/1/29, 1st Floor, Paradise Square, Ejipura Main Road, Vivek Nagar, BANGALURU. Address: Saj House, Plot No. X-14/2, Near Mamta Hospital, MIDC Residence Zone, Phase II, Dombivilli East, MUMBAI. Apart from these centres, there are other counseling centres within Kerala, as well as all over the world.